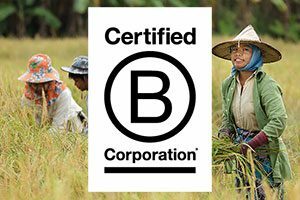 LEIDEN, the Netherlands, 24th May 2018 – This month, Better Places Travel is the first Dutch travel organization to become a Certified B Corporation. With this accreditation, Better Places Travel joins the international movement of sustainable companies, proving that successful entrepreneurship and making a positive contribution to the world can go hand in hand. B Corp is an international network of Benefit Corporations, a global community of successful commercial companies committed to a better world. The American organization B Lab awards the certificate to companies with a positive social and ecological impact and who take responsibility, are transparent and contribute to the economy of the future. Better Places Travel is the first travel organization in the Netherlands to be awarded this certificate. Saskia Griep, founder and director of Better Places Travel, shares: "We are extremely proud of our B Corp certification. With Better Places Travel we want to be a frontrunner in sustainable entrepreneurship in the travel industry. We are convinced that our way of working has a positive impact on travelers, suppliers, employees and the environment. Through the B Corp certification, sustainability and transparency are embedded in our business operations, allowing us to demonstrate our ambition for sustainability in the broadest sense of the word and be an example for others". Better Places Travel is a social enterprise and has been working towards a more sustainable travel industry since its founding in 2017. The travel organization compensates the CO2 emissions of all its journeys, including both the flights and the overland travel. Additionally, Better Places Travel pursues an active policy to reduce plastic waste. However, sustainable travel is more than just taking into account the environment. It is also about the local people, culture and economy of the places you visit. At Better Places Travel, clients arrange their trip directly with a travel expert who lives at the destination. "We want tourism to add value to both our travelers and the local people," Saskia Griep elaborates. "For our travelers, the trip becomes an unforgettable experience, while the locals receive a fair income through their visit." Annually, Better Places Travel donates 10 percent of its profits to positive initiatives worldwide. B Corp stands for Benefit Corporation. Since 2006, this American organization has been certifying companies worldwide that, in addition to successfully making a profit, are also successful in achieving social and sustainable goals. In order to become a B Corp, companies must go through a strict assessment and meet extensive performance standards. Today more than 2,000 companies in over 50 countries hold this certificate, including Ben & Jerry's and Patagonia. Well known B Corps in the Netherlands are Dopper and Tony Chocolonely. Better Places Travel is a fast-growing travel platform that offers high-quality travel experiences with a focus on nature and the local population. Travelers design their own tailor-made trip together with a travel expert, who has been living in the destination for years. Better Places Travel compensates the CO2 emissions of all its journeys, including international flights, through investing in a Gold Standard project. They first began operating on the Dutch market as Better Places, after which they expanded to the German market under the name Fairaway, and are now internationally known as Better Places Travel.